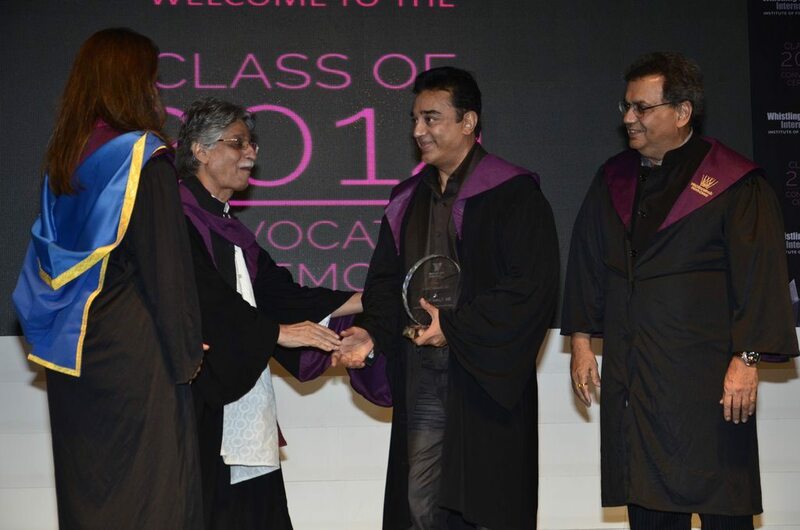 Kamal Haasan presented with prestigious accolades at Whistling Woods. 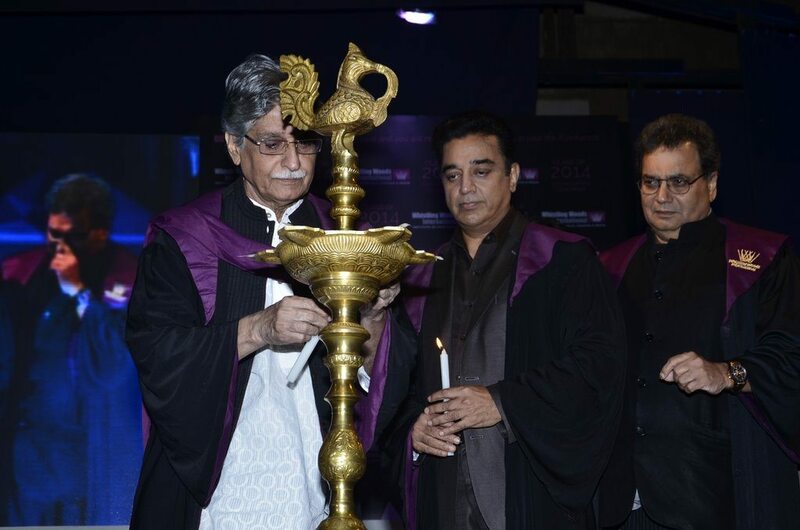 Veteran actor Kamal Haasan was honored with the Whistling Woods Maestro Award for excellence in cinema at the Rangsharda Auditorium in Mumbai on July 18, 2014. The ‘Pushpak’ actor was received the award at the seventh convocation ceremony of the Whistling Woods International Institute for Films, Media, Animation and Media Arts. The award was presented by the founder of the institution Subhash Ghai, President Meghna Puri and Javed Siddiqui. 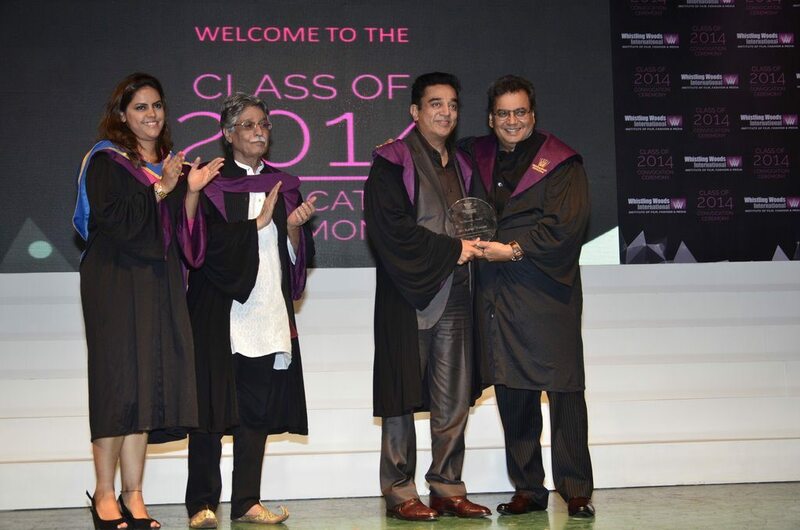 Haasan also presented the students of Whistling Woods with their diploma certificates. Kamal was last seen in the movie ‘Vishwaroopam’ which was a Tamil spy thriller. 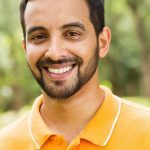 The actor had written, produced and directed the movie, and also played the lead role along with actors Rahul Bose, Pooja Kumar and Shekhar Kapur.